We are all familiar with using Apple Compressor to compress media files stored on our local hard disk. But, when my new Mac mini arrived, I started wondering about whether I could use this for media compression over the network. The answer is: Yes! But it isn’t intuitive. 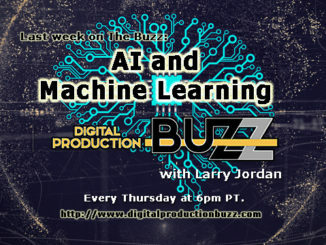 NOTE: Here’s a similar article on how to network media compression using Adobe Media Encoder. Every computer must mount the server to its desktop using the same server name. What we need to do is set up a “compression network” using only the network computer: in this case, a Mac mini. All compression settings are unique to each job, which provides maximum flexibility to each operator while still providing solid compression speed using the network. 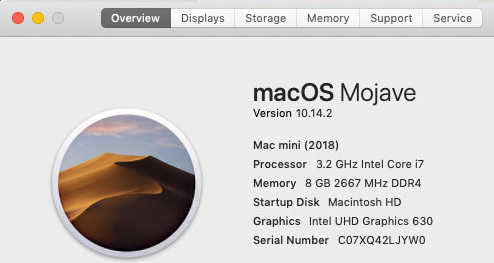 For this article, I’m using a brand-new 2018 Mac mini, as you can see from the screen shot above. Not shown is that it also has a 512GB SSD. In this example, we’ll use a Mac mini as our compression engine. You can use any Mac, for that matter, the setup is the same. 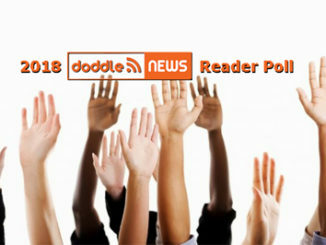 In this article, I’m simply playing with my latest toy. To get started, open System Preferences > Sharing and make sure the Mac mini has a computer name that will make sense to other users. Here, I’ve given it the name “Little Mac mini”. Most often, this name will be the name of the User the Mac is logged into. NOTE: You don’t need to change any of the checkboxes lower in this screen. Open Compressor on the Mac mini. 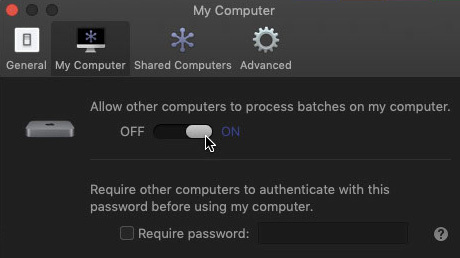 Go to Compressor > Preferences > My Computer and turn on “Allow other computers to process…” If you need to restrict access, add a password. Since most of the time it’s only me doing the compressing, I leave this blank. Next, go to Preferences > Shared Computers and click the Plus icon in the lower left. This adds a new “network group” to this menu. Here, I called it “Mac mini network” – again, you can name yours anything you want. Make sure that “This Computer” is checked – it should be by default. CRITICAL: If you are using your own file server, UNcheck “Enable automatic file sharing.” This is not obvious and it will prevent the network from working when checked. NOTE: If you are using XSAN, leave this checked. When in doubt, read Apple’s help files. Check Enable additional Compressor instances. Set the network interface to Ethernet and I also enabled the port range by checking it, but left the numbers at their defaults. NOTE: You can connect a Mac mini for compression using WiFi, but your speeds will be significantly reduced; at a guess I would say by 50%, maybe a bit more. 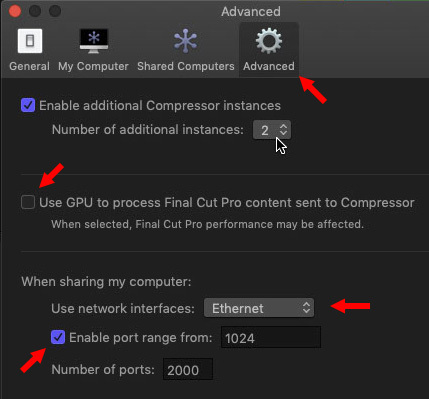 NOTE: If you have multiple Macs and want to build a compression “farm,” repeat this process for each Mac mini, or other computer, you want to use. 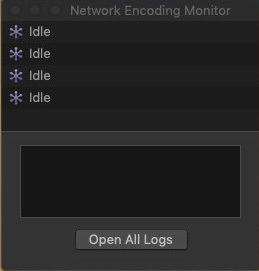 In Compressor, choose Window > Network Encoding Monitor. This will show you when a remote job is being processed by the system. NOTE: Your number of Idle instances may be different from mine. This is not a problem. This screen is only visible when Compressor is running. 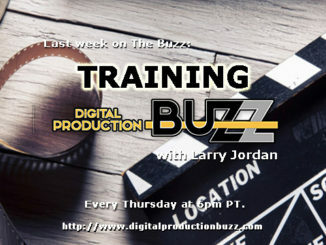 Read the rest, including Larry’s thoughts on further configuring the system, remotely compressing your project, and what mistakes to avoid, can be found at LarryJordan.com.